Loot boxes have inspired outrage few other controversies in the gaming world, and while many games have dropped the monetization scheme that was so maligned last year, there are still some that offer paid random drops. Trials Rising is one such game, and some forum chatter has prompted a surprisingly direct response from a Ubisoft representative. Trials Rising’s customisation and progression systems were detailed in September. Among myriad other means of unlocking cosmetics, you can purchase ‘premium Gear Crates’ with Acorns – a currency that’s both earnable in-game and available for real money. 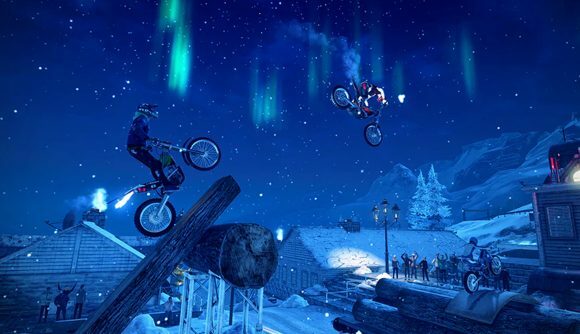 That didn’t generate much noise at the time – Trials Rising is a fairly small release, after all – but that’s changed this week. A Steam forum post criticizing the game’s loot boxes has gotten a number of bumps in the past few months, but as DSOGaming notes, a response from Ubisoft rep Ubi_Warlock has dramatically changed that. There’s nothing surprising in that response, but the assertion that that loot boxes have been a net positive for the game industry hasn’t sat well in the thread. “I do appreciate why players feel the way they do about them (not a huge fan myself),” Ubi_Warlock says, “however, as it was also pointed out, you can always just not buy them. Ultimately, they’re intended for players who want something to help them stand out from the crowd when playing online, or even just those who are big fans of the game and want to support us further. “Yes, it means that some players end up spending more on our games than others and that does result in increased profits for us. It also helps us to put more money into new titles and to understand what players look for in their games. If players simply didn’t buy these crates, they would not be added into games in future. I’ll spare you the tone of fan responses, but you can hit that link above to read the thread if you truly need to. Criticism of paid random drops kicked off in earnest around Battlefront 2 loot boxes, and that criticism has often been justified – after all, it’s led to legal changes in countries like Belgium.